Oh Diwali….the non-stop rat-a-tat of the firecrackers….the nip of the descending winter….the stiff starch of the brand new clothes….the flicker of a hundred lamps and…and the air heavy with the mouth watering aroma of the hot sweets….Oh Diwali….The most beautiful night of the year! 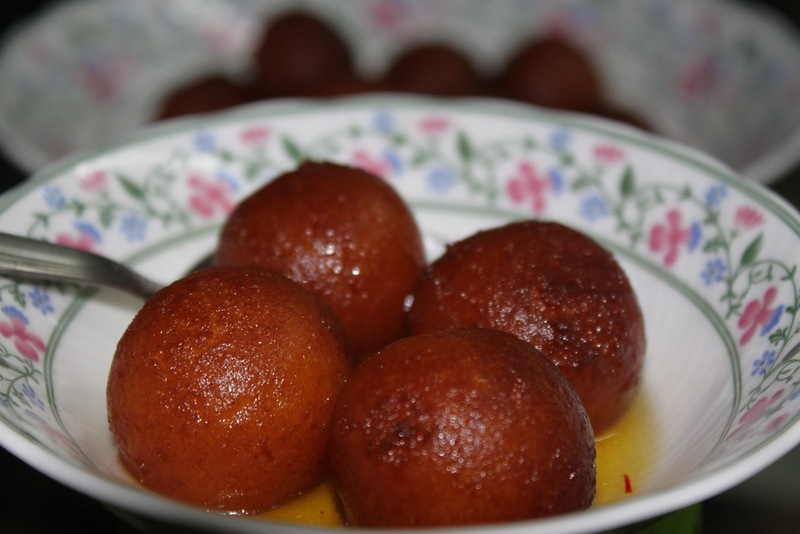 Make this Diwali truly memorable….try making Gulab Jamuns at home…..may your Diwali be as sweet and juicy! Wow…what proportions so you use…I'll give it a try with that, who knows that may turn out better!! They are mouthwatering!!! I can't wait to try making them myself. Trust me they are very simple to make…you have to be just very careful with the proportions.